OK, I have an obsession with Stacy’s Pita Chips! Yes, I do! They are always my go-to snacks. Not only are they one of my favorites, but our children love them too. In fact, when they are all here, we can’t make two bags last a weekend. If you like Stacy’s, you know they are almost $4.00 a bag, but sometimes you can find the store brand pitas for $1.00 a bag. With that being said, I decided to see if I can make them at home. What is great about this recipe is that you can change up the toppings. You can top them with cinnamon and sugar, herbs, garlic, cheese or even spice them up with some crushed red peppers. 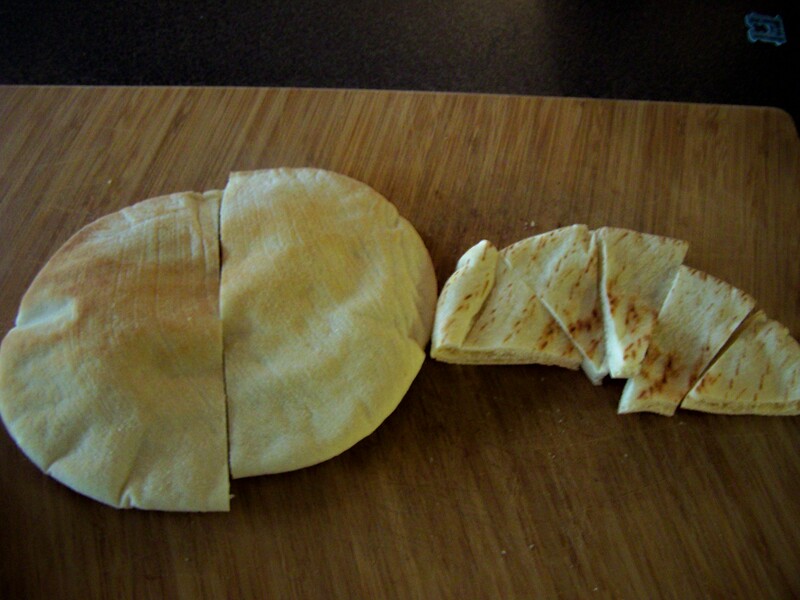 Cut open the the pita slices and place on cookie sheet. 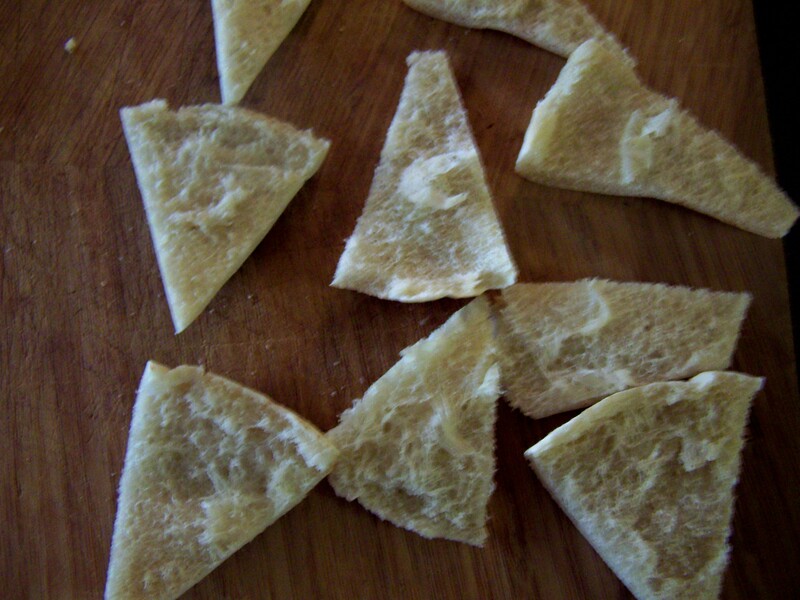 Brush each slice with extra virgin olive oil. 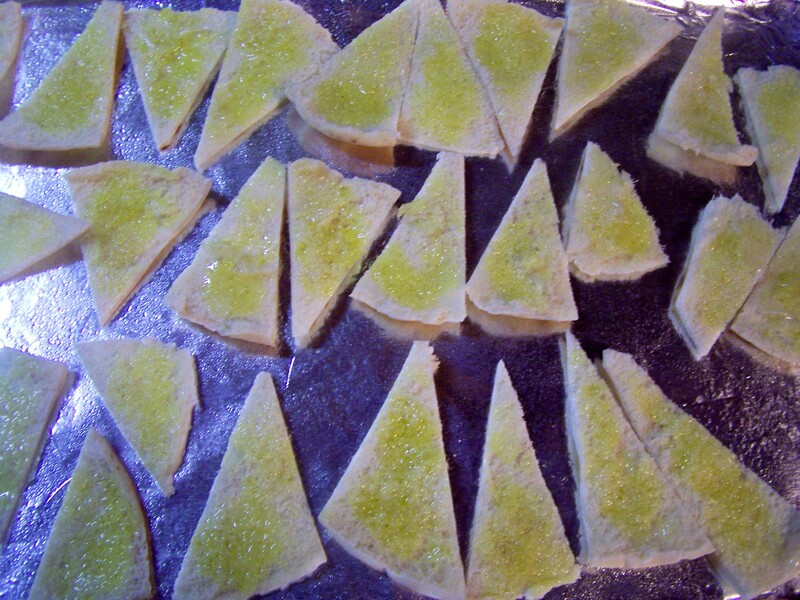 For the first batch, I sprinkled them with McCormicks sea salt and garlic grinder and added grated parmesan cheese. 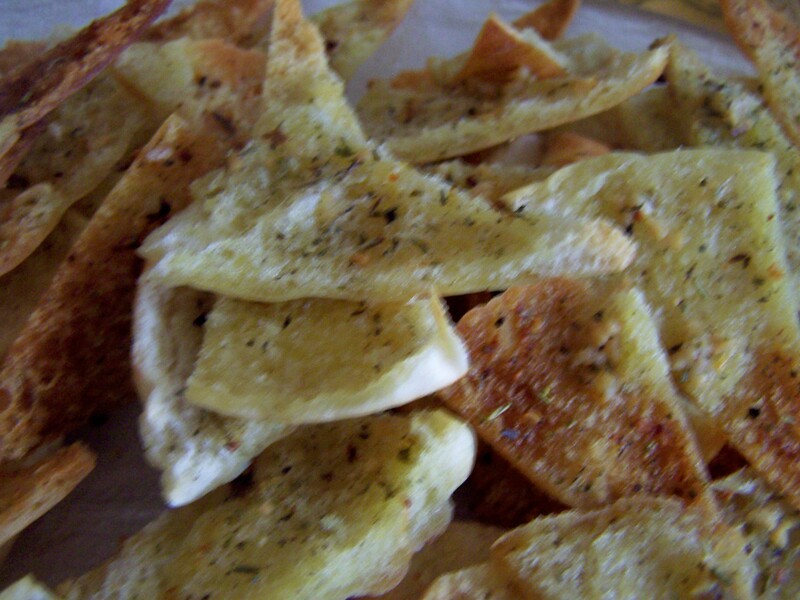 The second batch, I made with McCormicks Italian Herb seasoning grinder, fresh garlic and grated parmesan cheese.